I was invited to speak at the 40th Pecha Kucha Night in Auckland last week, an acknowledgement of six years of collaboration with Pecha Kucha Night New Zealand founder, Luka Hinse. 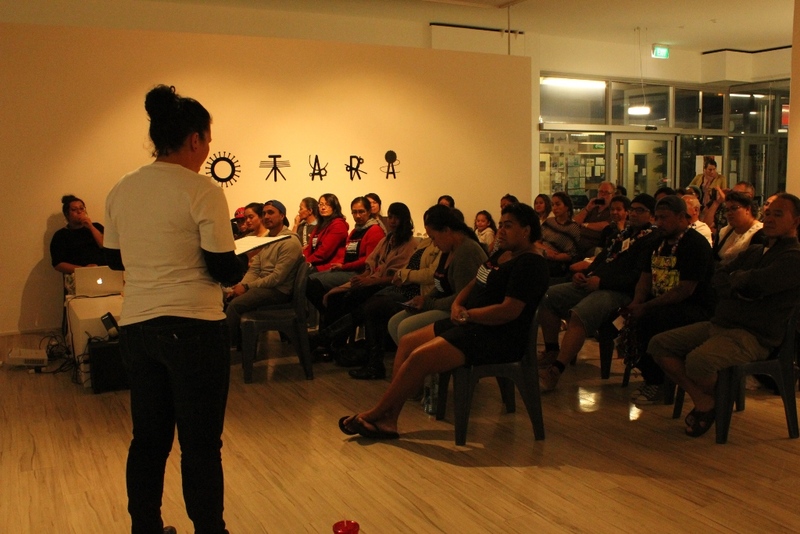 In 2008, I was part of the first Pecha Kucha Night in South Auckland, presented as part of the Manukau Festival of Arts. I went on to curate and contribute to four more excellent Southside events at Metro Theatre, Mangere Arts Centre and a very special outdoor event in the Otara Community Courtyard in 2011. I’ve loved being involved with this inspiring event format (20 images x 20 seconds), Luka’s vision and his deep respect for South Auckland. The title of my presentation is a reference to a line in a Tupac song… Real eyes, realize, real lies. This is a self portrait I did on one of the days that I listened to Tupac all day. When I realised that none of my friends appreciated Tupac the way I did growing up, I realised I needed new friends. His political and social commentary has influenced me for almost 20 years. 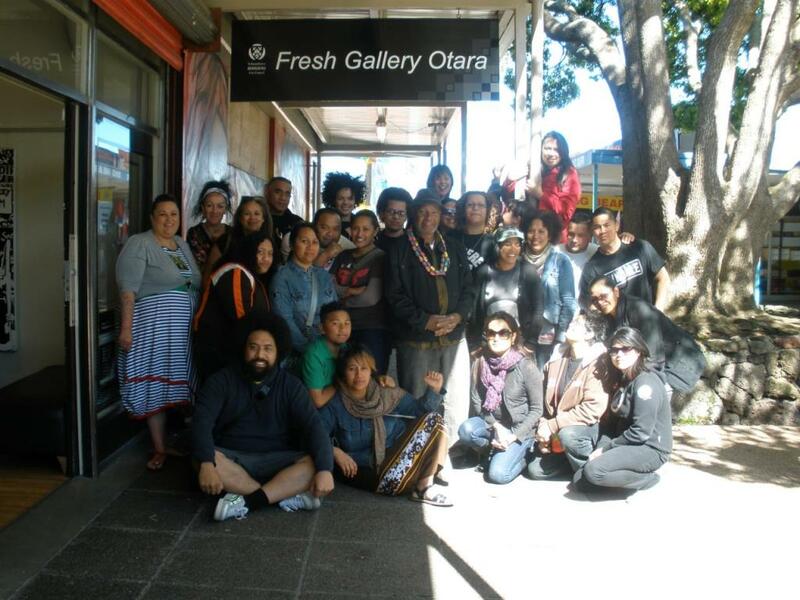 I used manage a community art gallery in South Auckland called Fresh Gallery Otara. Otara is a community I’ve lived in and around for the past 12 years; it’s a home away from home, a piece of the Pacific once removed. This was one of my favourite gatherings welcoming Emory Douglas of the Black Panther movement, to South Auckland in 2009. He returned last year to exhibit at the Gallery, but Fresh now is not what is used to be. I’m part of an collective called Oceania Interrupted, which was established by a very dynamic and passionate primary school teacher called Leilani Salesa. She initially called together Māori and Pacific women to participate in an artistic intervention to raise awareness for the plight of West Papua. 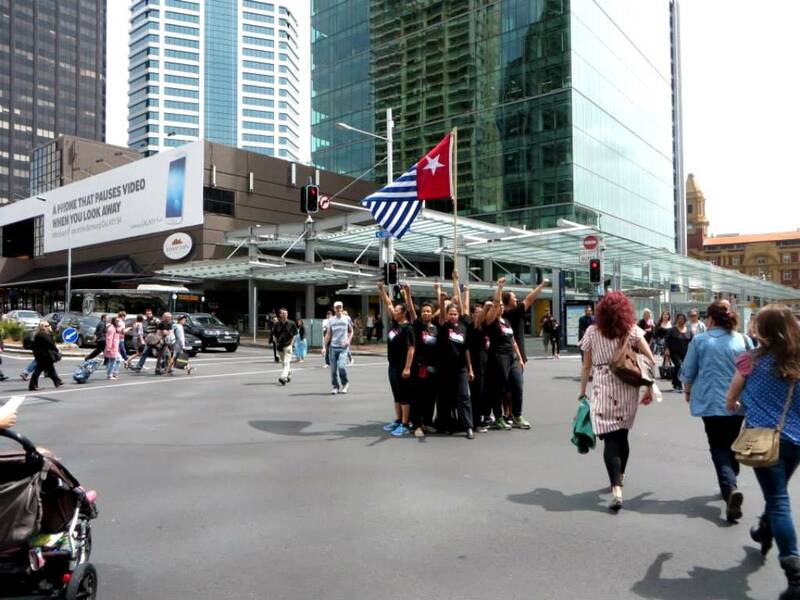 In a performance called, “Rise of the Morning Star” the West Papuan flag was raised 15 times at traffic intersections on Auckland’s Queen Street on West Papuan Independence Day, December 1st. The number 15 is symbolic in reference to the high profile case of political prisoner of Filep Karma, who was sentenced to 15 in jail for raising the West Papuan flag. 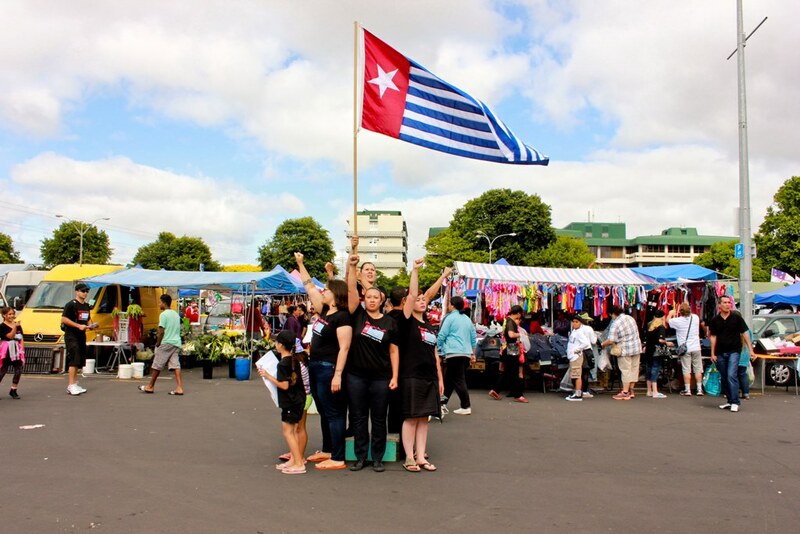 The plan became to do 15 interventions or Actions in and around Auckland and South Auckland to raise awareness and create discussion around West Papua, freedom and what can be done as New Zealanders. 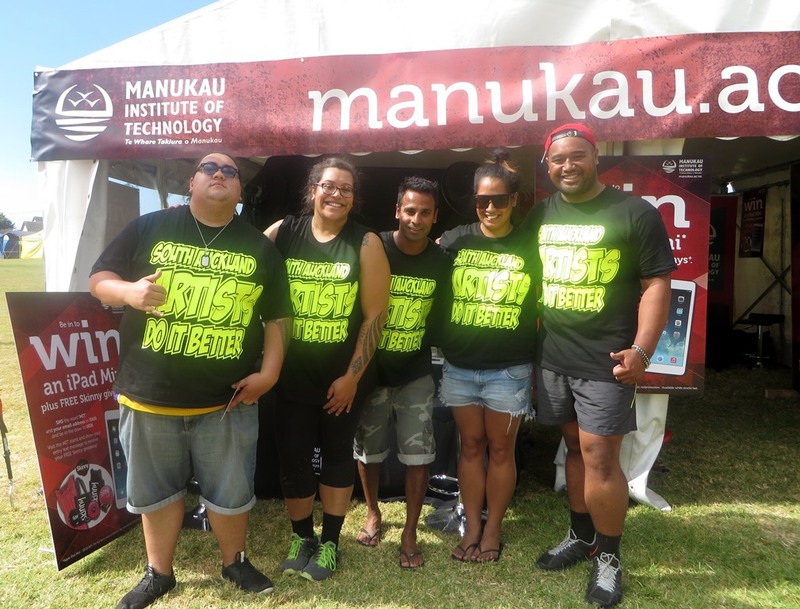 Action 2 took place at the Otara Market in December 2013. Auckland’s Pasifika Festival was an ideal space to create visibility for the plight of Pacific people using Pacific bodies. This was Action 3 entitled, “Free Pasifika – Free West Papua”. 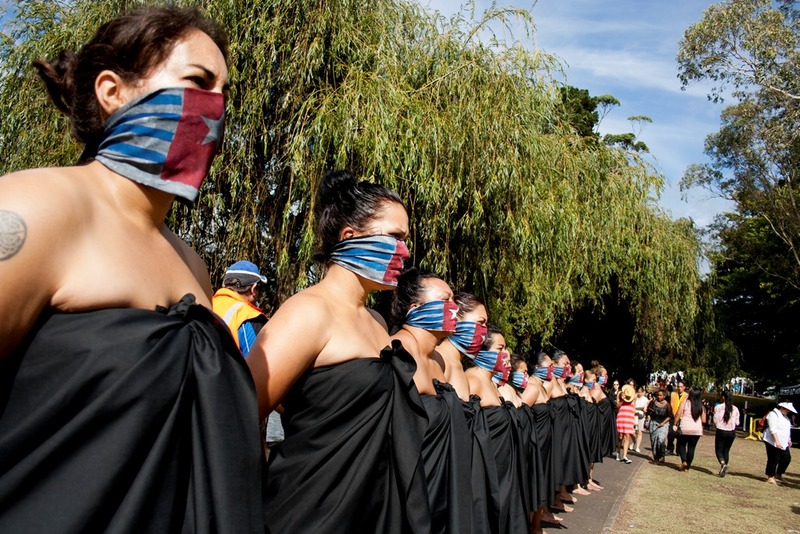 14 women with bare feet and bound hands, dressed in black lavalava adorned their faces with the Morning Star flag and marched silently from village to village. 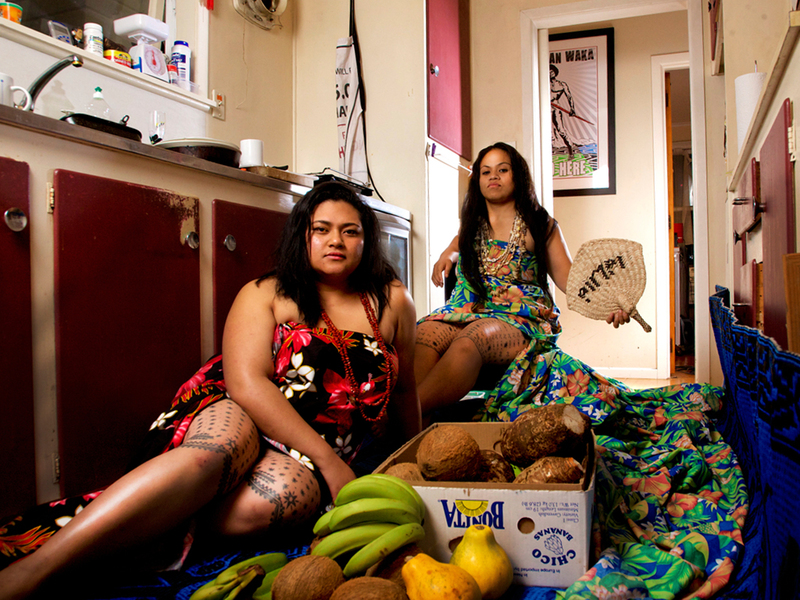 Oceania Interrupted draws women together in different capacities – there are those who put their bodies on the front line, to perform and confront; those who hand out fliers and talk to the staring public, and those who work quietly behind the scenes. 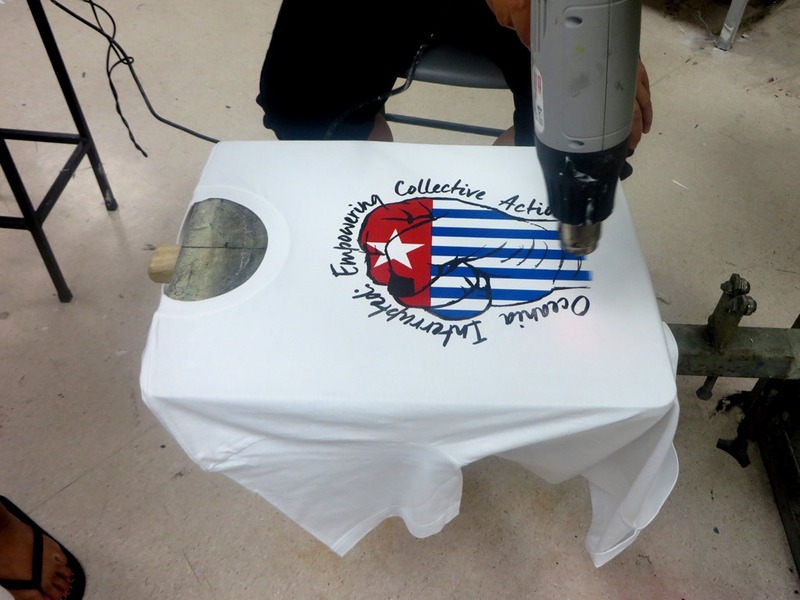 A project to make an Oceania Interrupted T-shirt was undertaken by MIT Faculty of Creative Arts student, Katarina Katoa. This project was made possible with the excellent support of Steve Lovett, one of the most passionate and supportive lecturers I’ve had the privilege to learn from and work with. 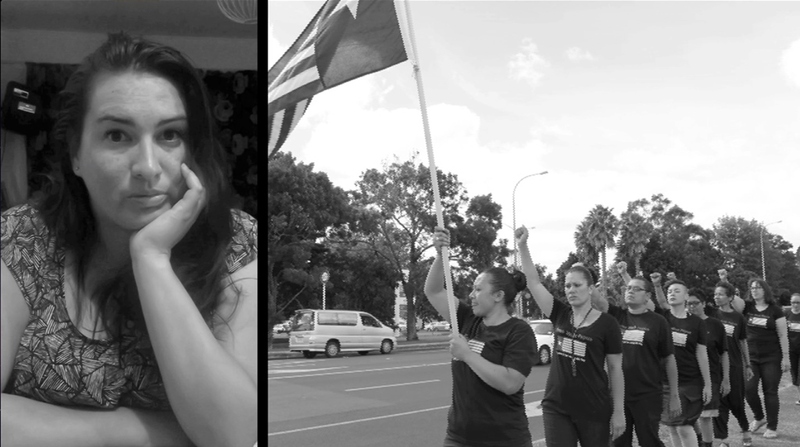 In a shift from performance-based interventions, Action 4 took the form of a video that invited women to interview people in their lives about freedom, visibility of Pacific issues and West Papua. 10 women participated contributing in excess of 24 individual interviews. Woven together with footage of past actions, the video was launched at a gathering on World Press Freedom Day, May 3rd at Fresh Gallery Otara. In essence, Oceania Interrupted strives to bring West Papua into the consciousness of the communities that surround us as Māori and Pacific women in Aotearoa. Our freedom is inextricably bound up with that of our Pacific West Papuan brothers and sisters. Our next Action is on August 9, International Day of the World’s Indigenous People. Find us on Facebook for updates! 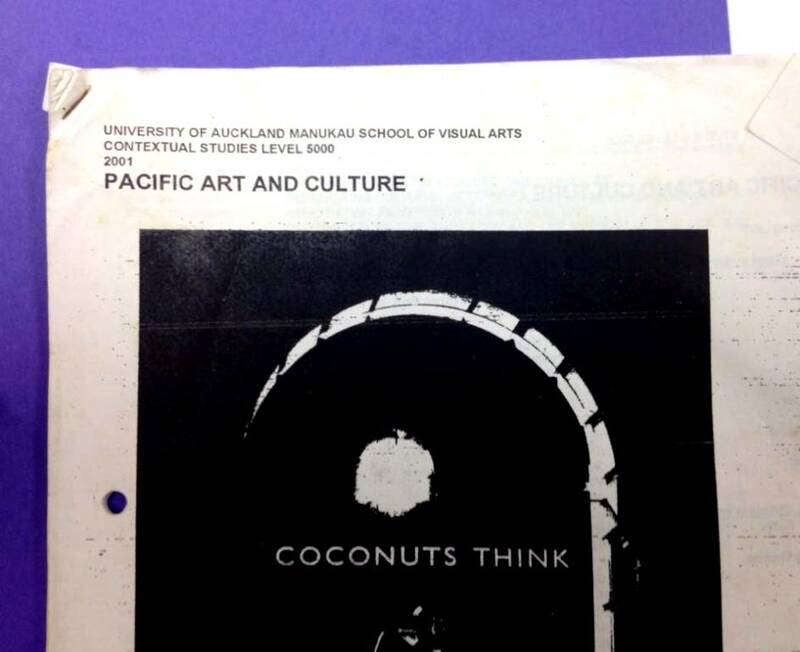 I teach a paper at MIT Faculty of Creative Arts called Pacific Art Histories: An Eccentric View. It’s the evolution of a paper first developed for the Institute by Albert Refiti and the late, great Jim Vivieaere. Jim’s legacy plays heavy on my mind in this important role. 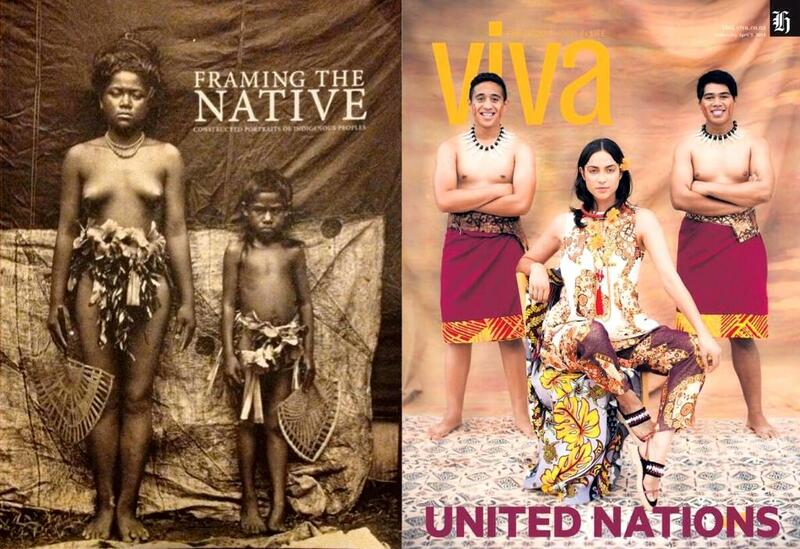 I’m proud that Pacific art and culture has been discussed openly and thoroughly at MIT for the past 13 years. My current class are almost midway through their degree studies; Pacific Art Histories is now a mandatory theory paper in year 2. The course covers topics including: misrepresentation and colonisation, gender and sexuality, curating, tattoo, online Pacific identities and global Pacific experience, hip hop and empowerment, diaspora problems and creative entrepreneurship. 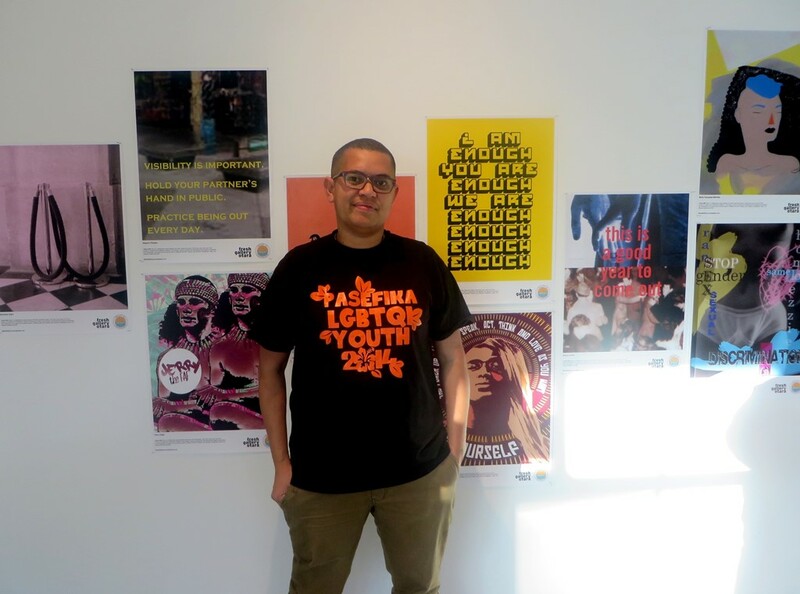 That last photo was taken with Fijian artist and activist, Luisa Tora; she produced a poster project for International Day Against Homophobia and Transphobia last month and discussed her curatorial process, personal position and politics with the class. Other speakers have included Samoan comic book artist and pro-wrestler Michel Mulipola and Tongan art historian and tattooist, Stan Lolohea. A photographer I’ve worked with for the past 8 years is Vinesh Kumaran. He works as a commercial photographer and is passionate about portraiture; I’ve loved seeing his personal work develop over the years. 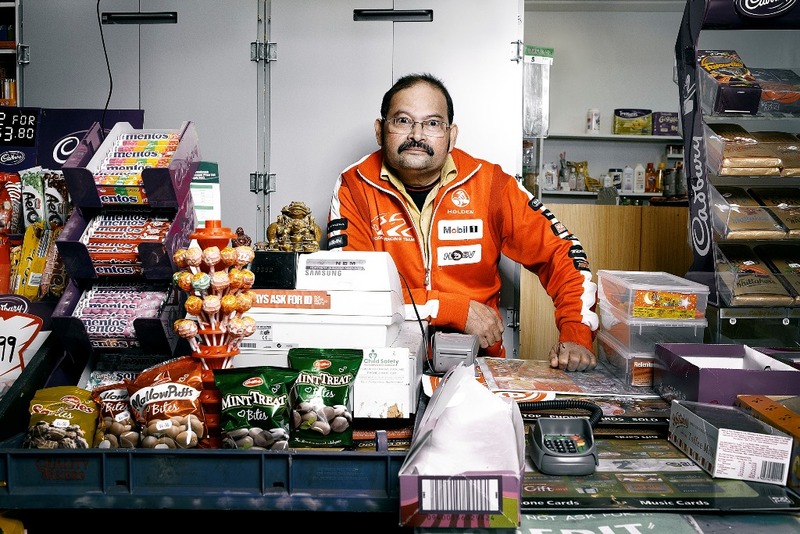 This series entitled, “Open All Hours” documents dairy owners across the Auckland region; it’s inspired by Vinesh’s own history of working in his family’s dairy in Mangere Bridge. This is one of my favourite works from the series. Tu’itupou Aniseko is my partner’s father; he’s a stoic man, a proud Tongan. Vinesh was working on a series documenting Pacific people in their home environments, and Tu’i accepted the request to be photographed. He stood motionless mostly and then, broke out into Tongan dance. He said of this photo, that this is the one he would want at his funeral – this is the way he wanted people to remember him. Vinesh and I have collaborated on a portraiture series at the annual ASB Polyfest in South Auckland since 2009. We’ve set up a make-shift photography studio in a marquee and selected interesting and charismatic individuals to create series focused on style, hair and attitude. This year’s series, commissioned by MIT, was called “Portrait of a Generation”. This is John, he’s Tuvaluan, from Massey. 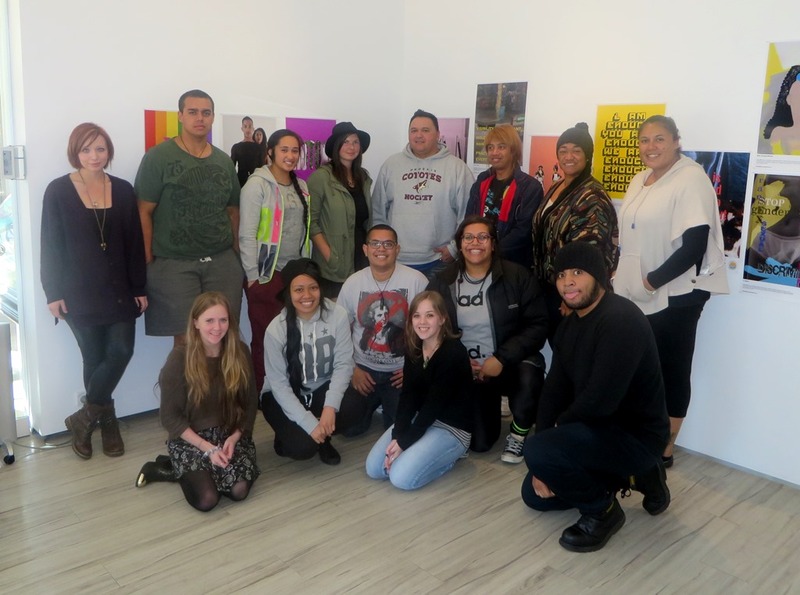 What we aimed to do with the portraits we made at Polyfest was centralise the subject. That the image and the moment between the subject and the lens represents all that they are, their ancestors and their mana. There was no parallel agenda, no profit; I’m interested in the act of photography as empowerment… my people are not props. 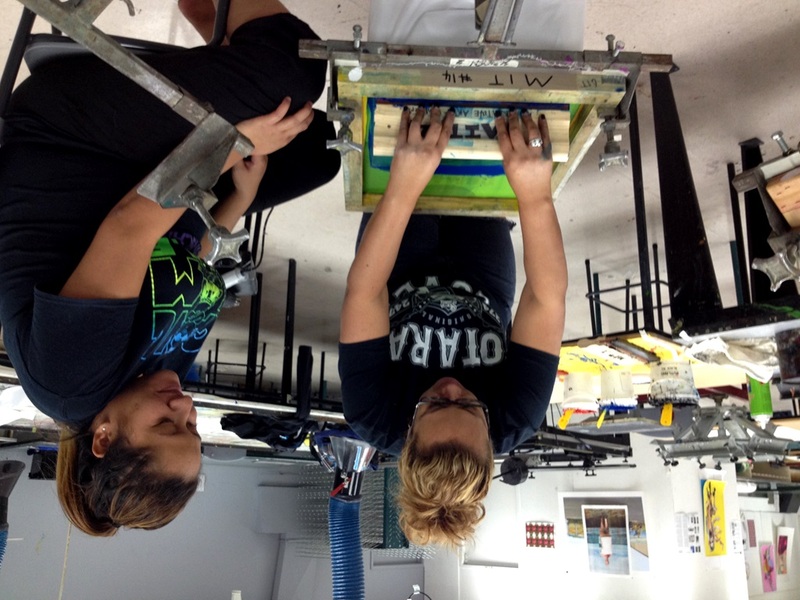 The last series we made at Polyfest created an opportunity for three Visual Arts students to assist on the project. They got insights into project management, client liaison and dynamics, photographing members of the public and explaining release forms. Their input in scouting for subjects created another dimension to this body of work that Vinesh and I really enjoyed. 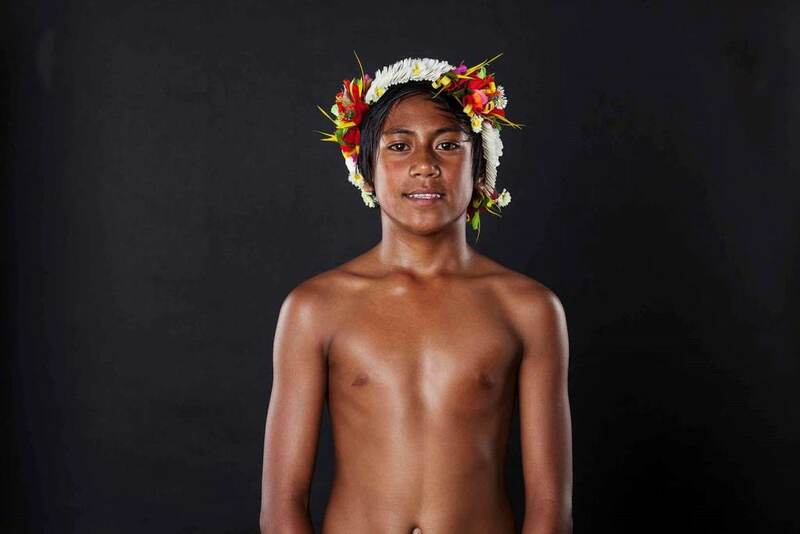 One of those students is Pati Solomona Tyrell, who featured in Samoan photographer, Tanu Gago’s 2012 series, “Avanoa o Tama”. Pati is Tanu’s partner in life and art. This work was first shown at Fresh Gallery Otara, went on to be shown at Auckland Art Gallery and later featured on the front cover of Art New Zealand. 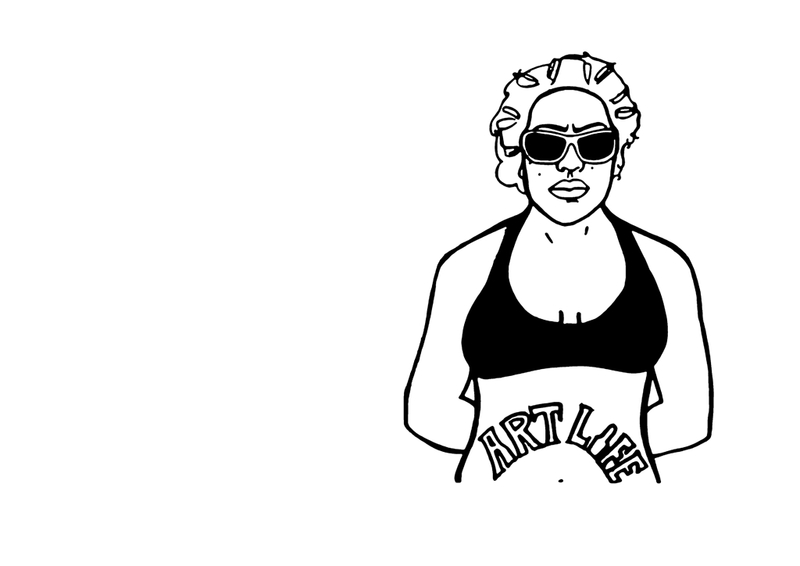 Tanu is another South Auckland artist I love and have had the privilege of working with. 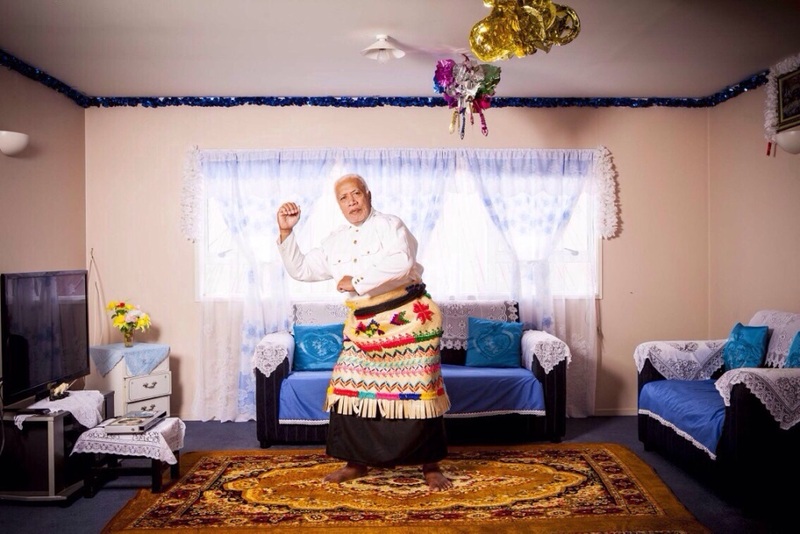 Tanu was awarded this year’s Auckland Festival of Photography Sacred Hill Annual Commission and his new series, “Tama’ita’i Pasifika Mao’i” opened last night at Silo 6. 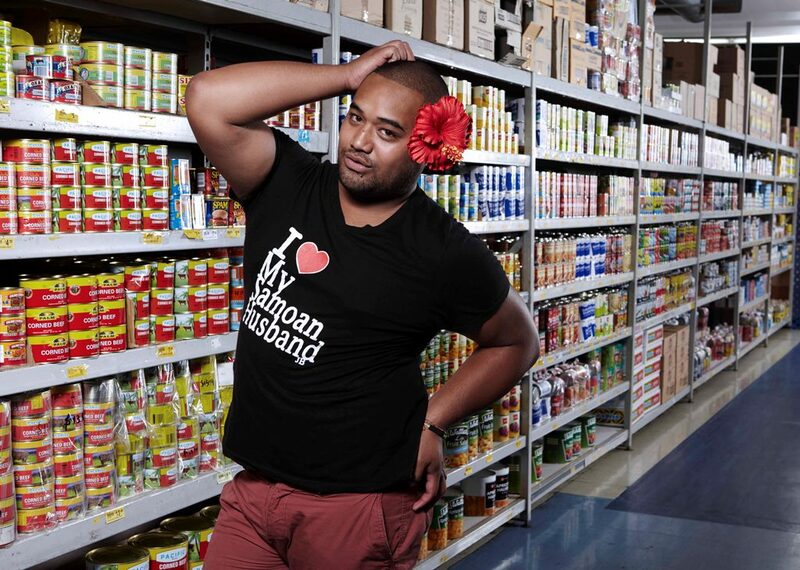 I love that Tanu talks about ‘creating a universe of Pacific identity’ from his unique position in South Auckland. Of this work, he explains the idea of capturing the exhaustion of performing culture for the dominant gaze. Of all the ideas of I’ve just mentioned concerning culture, community, caring, of action and accountability… this is an exhibition that sums it up for me. 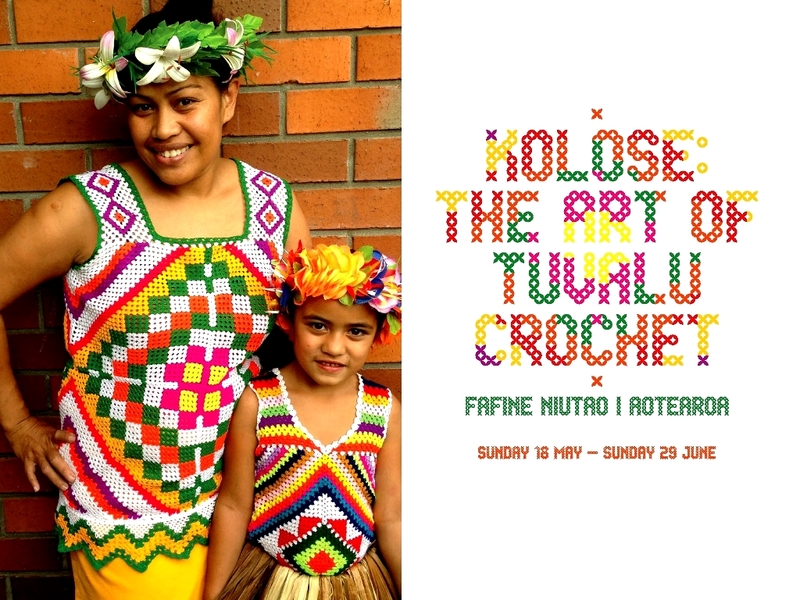 Kolose: The Art of Tuvalu Crochet is currently on at Mangere Arts Centre. In my humble opinion, it is the best exhibition that has ever been presented there; a massive congratulations to Fafine Niutao i Aotearoa and curators Kolokesa Māhina-Tuai and Marama Papau! It is a Southside must see! So glad you’re continuing the Pacific paper that Jim_V contributed to all those years, looking for great things in the near future.